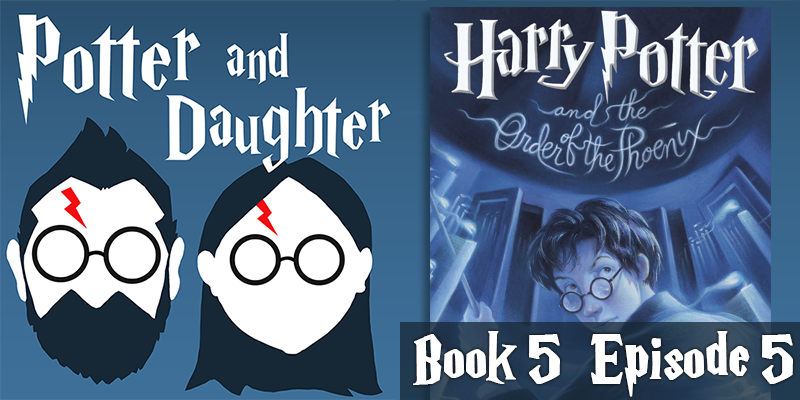 In episode twenty-one of Potter And Daughter Joel and Lily discuss Harry Potter And The Order Of The Phoenix chapters 27-32. Hogwarts gets a new teacher who’s half creature, The DA is betrayed, Dumbledore is ousted from Hogwarts and Fred and George stage a spectacular exit of their own. Harry sees his father in a new, dimmer light, Hagrid returns with a secret hidden in the Forbidden Forest, Ron has a Quidditch victory without Harry’s help and, as O.W.L. testing begins, Harry fears for the safety of his godfather.